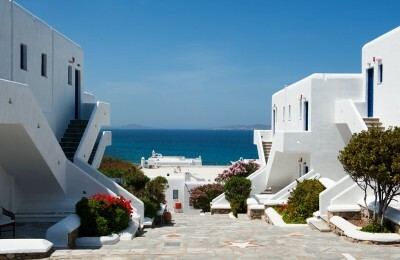 Mykonos - GS Travel S.A. Through the luxury hotel’s stone walled gates, one walks into an impossibly charming bougainvillea clad courtyard. 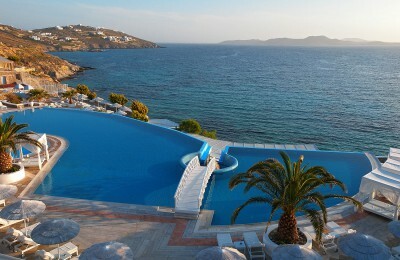 Nissaki Beach hotel in Mykonos brings your fantasies to life. 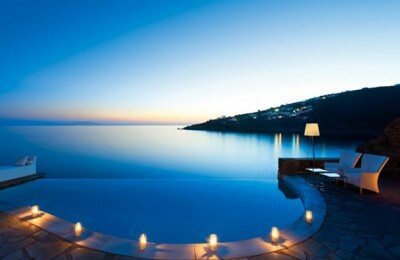 A place of peace nestled among palm trees above the shimmering waters of the idyllic beach of Platis Gialos. 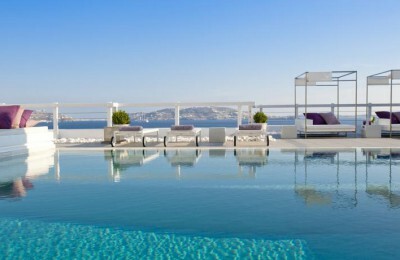 Lying on a perfect sandy Private Beach, in a privileged location of Mykonos Island, offering breathtaking views of the Aegean Sea!